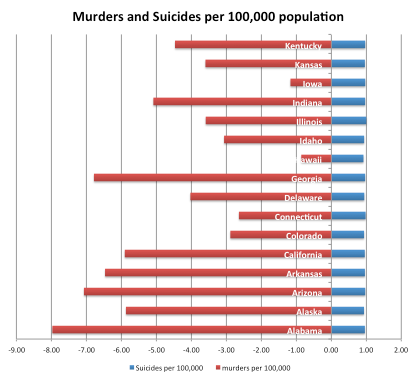 On the brilliant chandoo.org and Jon Peltier sites/blogs, there is a discussion on the graphical presentation of murder and suicide rates from the USA. 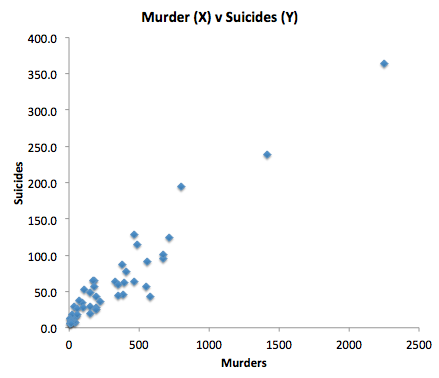 The discussion started when Jon Peltier found the Freakonomics web page,, and suggested that they had presented a rather ineffective graph of the information they were discussing. Jon Peltier then had a go at improving the graph and he presented a very effective dot graph. chandoo.org picked up where Jon Peltier left off and he moved the discussion into the direction of in cell graphs: take a look at my recent page. chandoo took this idea significantly further than my page so please go to his page for those enhancements. 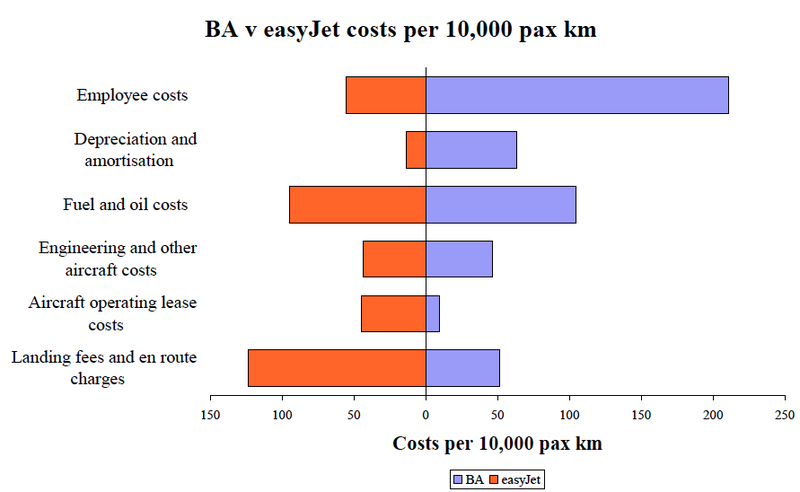 The following chart is also very revealing but it shows the absolute values and I appreciate that both Jon and chandoo were keen to illustrate the relativities as much as anything. I like in cell graphs: using the REPT() function as well as sparklines but wish to offer the population pyramid as a good alternative for this debate. 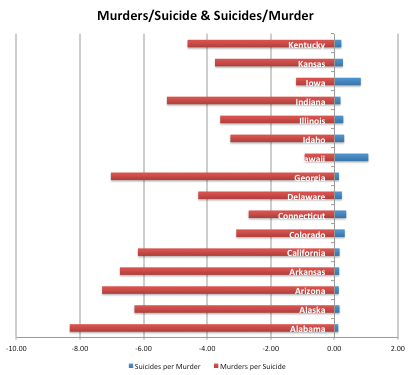 This shows a high level of correlation between the two variables and that there will be some suicides irrespective of whether there are any murders. 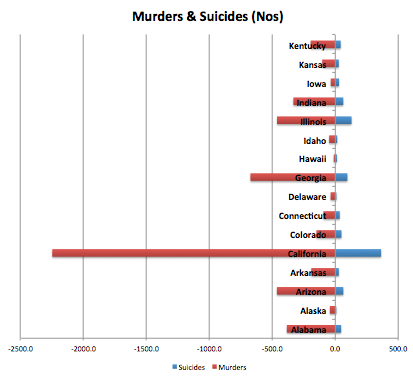 Moreover, for every ten murders, there will be about 1.5 suicides, at national averages. A grisly but fascinating topic!